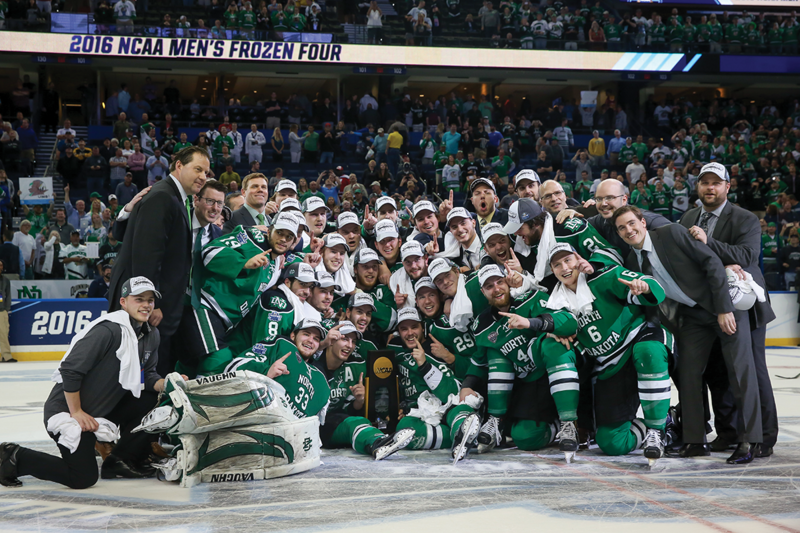 The University of North Dakota Men’s Hockey program has a rich tradition of being one of the best college hockey programs in the country. Being an Elite Division I hockey player is a yearround responsibility with hours of time dedicated on the ice and in the weight room. A summer school scholarship allows our student-athletes to stay in Grand Forks over the summer and pursue their degrees while maintaining their conditioning. Men's hockey posted a 3.27 team average GPA for 2016-17 with six semester 4.0 GPAs. Our student-athletes are performing like champions in the classroom as well as on the ice. 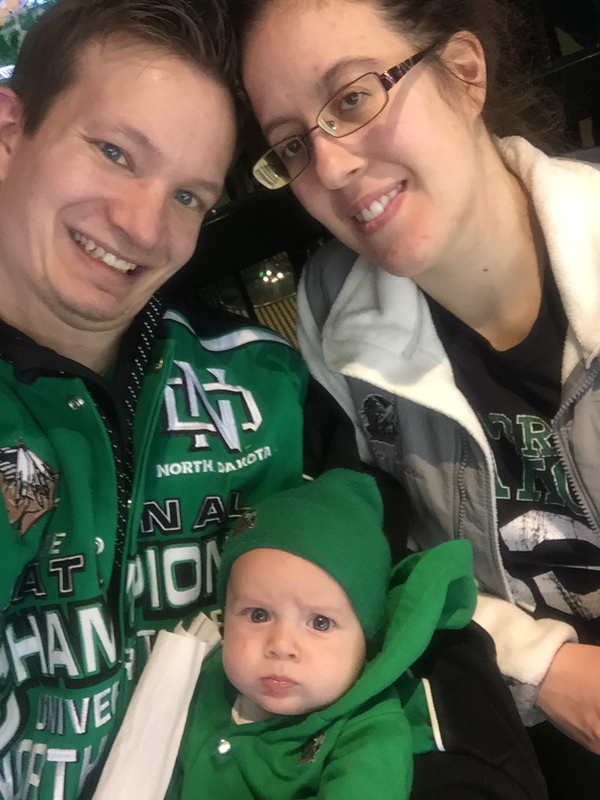 Three years ago, Todd Larson, a devoted and committed UND Hockey fan and member of suite 220, led the creation of a scholarship for summer school to help our Men’s Hockey program. Each member of Suite 220 gives $50 per person, per seat, per year to the scholarship. Their contributions have generated $1,150+ per year. Now, with your help our goal is to fully fund the hockey team's summer school scholarship commitment. Our goal of $55,000 will pay for the team's needs this year. In October 2016, Todd passed away. In recognition of him, Ralph Engelstad Arena and Coach Brad Berry would like to ask every Suite seat holder/member and Club seat holder to give just $50 each to help fund the Men’s Hockey Summer School Scholarship. Ralph Engelstad Arena has agreed to match the first $25,000 given, dollar for dollar for this scholarship. Thank you REA! Your contribution of just $50 per seat on Suite and Club level along with the Ralph’s match will fulfill this need and help to keep us on top and recruit the best student-athletes. If you pay taxes in North Dakota, you may be eligible to take advantage of an additional tax credit on your gift. With a minimum $5,000 gift to the Gino and Tootsie Gasparini Athletics Scholarship Endowment, you may benefit from both a federal tax deduction AND a North Dakota income tax credit equal to 40% of the charitable gift, thereby significantly reducing the net cost of giving. Ask your tax advisor for more information.